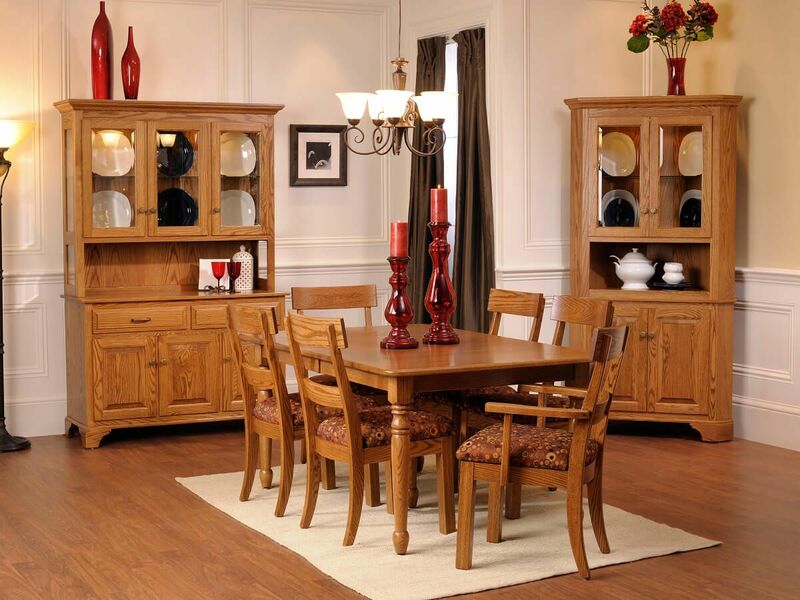 Handcrafted by our experienced Amish artisans of select American hardwood, our Clarkson Valley Dining Table will be a unique addition to your home. 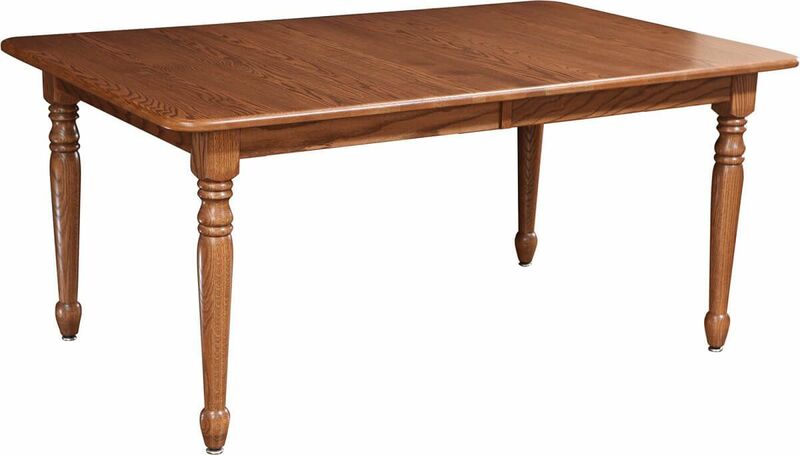 Pictured in oak with a Spring Twig finish, our Clarkson Valley Wooden Leg Table is a traditional dream come true. You may choose a different wood species and finish from the menu below to create the look that is perfect for your home. Your Clarkson Valley table top is a solid inch thick and is available as a solid piece or with up to six leaves, four of which may self-store. The Clarkson Valley Dining Table easily expands on slides of solid wood that will stand the test of time. With an elegant embassy shape, your Clarkson Valley Solid Wood Table will be a staple in your family’s dining rooms for generations. Add virtually any chair you prefer as floor to apron clearance is a generous 25 5/8”. Let Countryside get your heirloom started today. Floor to apron 25 5/8"